For most brides, the moment you first see your engagement ring is one you will likely never forget. Tied to it is the memory of the time-stopping moment when your other half proposed to you, and your heart leaped. But what of that little piece of symbolism that gets slipped onto your finger after you say ‘yes’? Where do rings come from? And how do know which is the right one for you? Well, today we’re diving right into that fascinating topic, and hopefully, at the end of this article, you’ll a little more understanding, and you’ll be ready to answer the question. Whenever I think of rings, gorgeous pieces of jewelry flash across my mind and the styles are so different that I find myself pulled in a number of different directions. I think this is normal because as humans we recognize beauty and very many, different things can be beautiful. I also think that in the end, you’ll find the one that just takes your breath away, one you see yourself in, the one that reflects you the most. Rings, like people, have personalities, and when you find the one that is you, you’ll know. I believe that’s the key. And we’re lucky because today rings have as much personality as the brides that wear them, and as many. There are still the rustic brides, whose rings are understated, classy whispers. The brides who would choose a material like brass or copper, or even wood to showcase their earthy tastes, with bands so small you could miss them. 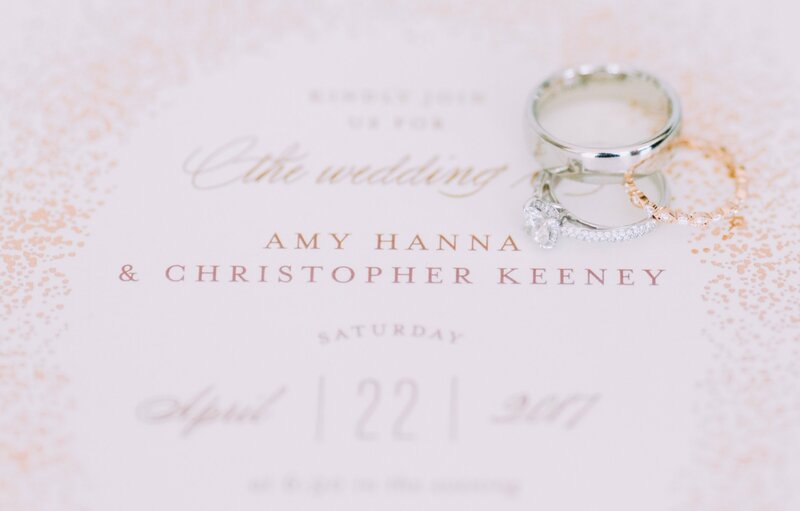 To this bride, the ring is merely a basic symbol of the much more important idea. The union. Pick a ring as pure as your intentions. On the other end of the spectrum, there are the diamonds-or-die brides, who simply don’t believe a proposal is real without the gorgeous stone on their finger, blinding them with all the reflected light that diamonds are famous. Or the extravagant but non-traditional bride who opts for a ruby stone or perhaps an emerald, anything to reflect the color of her own personality. And every single one in between. It doesn’t matter where you fall, we are just here on an exploration and appreciation of rings, and that brides that pick them. The first known civilization to exchange ‘rings of love’ were the ancient Egyptians, some 5000 years ago. They valued the eternal symbolism of the circle and exchanged rings made of common materials, reeds, and leather. The ancient Greeks followed and moved history along by starting the trend of giving rings to lovers, and not just in devotion or as gifts, as the Egyptians did. But it wasn’t until the Romans that we had a clear connection between the ring and marriage. Those early ‘fede’ rings depicted two hands coming together in agreement or love. They could be made in solid gold or carved in stone, like a signet, most commonly in cornelian, aquamarine, garnet or onyx. Over time the Romans began personalizing their rings until the rings often had full figure depicts of the couple carved into it. As Christianity became the official religion of the Empire, rings began also bearing the sign of the cross, to bless the marriage. Another shift took place, the 15th century saw the rise of the posy ring. The ring showed the shift in mentality about marriage at the time. Marriages had mostly been an arrangement between families, and an ornate ring signified a more profitable union. As marriage became more personal and rooted in love between the individuals, rings became more simple and private. Posy rings were famous for the personal messages inscribed on the inside, unseen by others. This is an option for those truly sentimental brides, who want their beloved to carry an even more intimate reminder of their love on their finger. Space is limited though, so really think about what you want to have inscribed. Also in the 15th century, a gift of jewelry was often sent by the father of the bride to the father of the groom, proposing the intent to marry off his daughter. It was not uncommon for the gift to be a diamond ring, so this is likely the beginning of the tradition of diamond engagement rings. While diamonds engagement rings continued to gain popularity over time, it wasn’t until De Beers’ ‘Diamonds are Forever’ campaign in the 1940’s that this tradition was launched into the norm. Something borrowed, something blue, something different. Today, while diamond engagement rings are still the most common, more and more couples are opting for something different. Socially aware brides may choose to not support the diamond business, as a protest of how those diamonds are often retrieved. Or they may go for eco-friendly options like lab grown diamonds or recycled diamonds. There has also been a rise in the popularity of rough or uncut diamonds and non-traditional stones, so it’s not uncommon for a bride to get a ring with her birthstone instead. Or perhaps a vintage ring, or a unique style that belongs only to you. Or, and this is a big one, some brides forgo the engagement ring altogether. The greatest thing about being a bride today is that your options are endless. The only real requirement for choosing a ring, and making sure it’s the right one for you, is being true to yourself.